All eyes on One God! 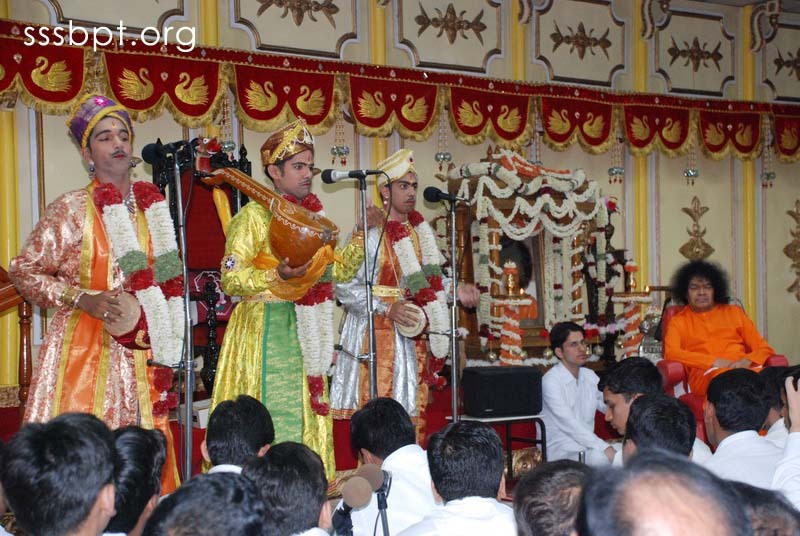 In the morning Bhajans started at 9:45 a.m. and as Bhagawan stayed indoors Arathi was offered at 10:15 a.m. Evening programme started at 5:30 p.m. and Bhagawan came into the hall at 5.45 after granting darshan to all huge congregation of devotees seated in the darshan grounds. Prof. G. Venkataraman gave an introduction to the third successive Burra Katha session; the story was based on Mother Easwaramma. He pointed out that in all the ages only four times a woman has the rare fortune of being Mother to the Avatar, namely, Kausalya, Devaki, Devangiamma & Easwaramma. The lacuna in the knowledge about the very pious mother Easwaramma would be filled by the narration by Sai Prabhakar and commented upon by Sai Raghuram and Aravind Sai. They would be ably supported on the Harmonian by Harikrishna, Shankar Vinayak on Mridangam and Preethi Ranjan on keyboard. The Burra Katha session began at 6 p.m. with a Vinayaka Strotram and a song pleading Swami to forgive the faults in the performance. 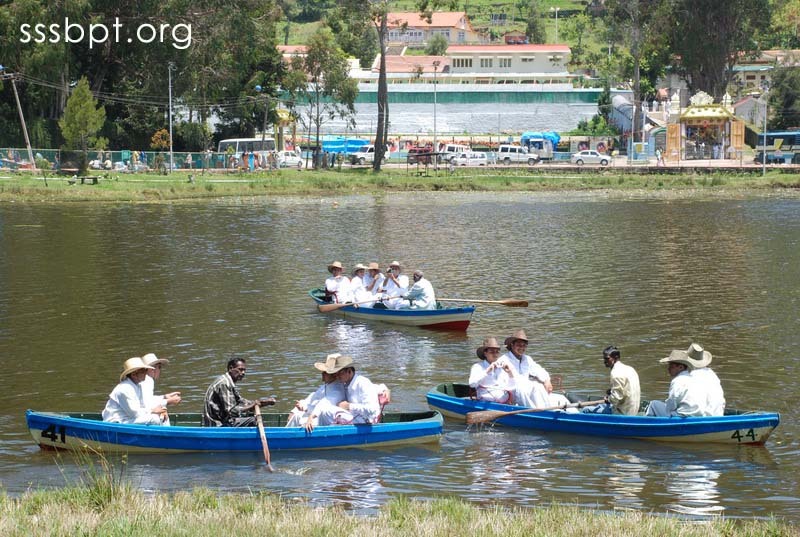 The story evolved after the victory song “Jayamee Jayamee Easwaramma”. In 1890, a daughter was born to Subbaraju and she was married at a very early age to Venkama Raju to become daughter-in-law to a pious couple Kondama Raju and Lakshmamma. Easwaramma, the chosen Mother, had a rare vision that depicts the Immaculate Conception resulting the birth of the Avatar. A ball of light came from nowhere to enter into her, as she was drawing water from the well. This was the Pravesam that resulted in the birth of Bhagawan on the auspicious day of Karthika Somavaram on 23.11.1926. Karnam Subbamma suggested that the baby be named Sathyanarayana Raju and behold! The cloth bundle that cradled the baby was rocked by a serpent under it which was verily, Adisesha come to be near Lord Narayana who had taken birth. 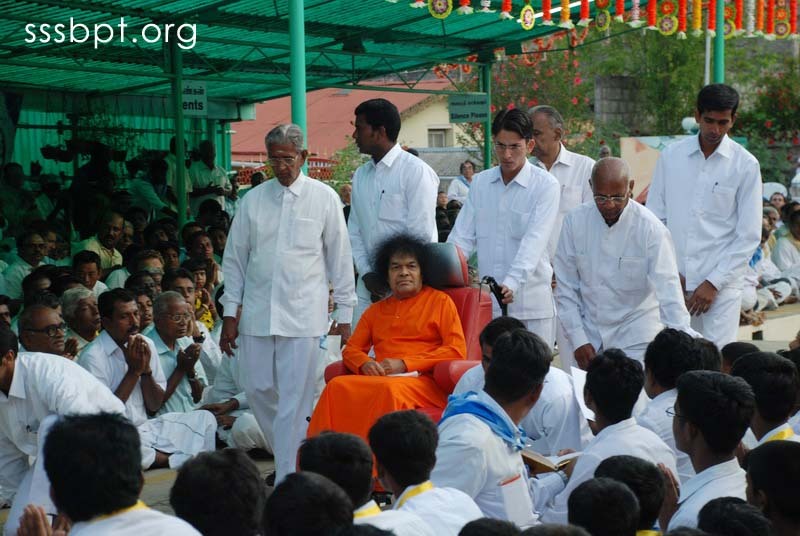 Even as a child Sathya taught bhajan songs and moral stories to the village children and was honored as their Guru, He was widely known as a miracle boy as He would often give away pencils, chocolates etc. bringing them out of nothing. Embarrassed at the bizarre happenings with his little son, as crowd started gathering around worshipping him, his father, having lost his patience asked him to reveal his identity. And there came the reply that He was Sai Baba, the Avatar prayed for, by Venkavathootha. He was Sai Baba of Shirdi come back again! He also later revealed that He was the incarnation of Shiva-Shakthi. The Divine Mother was amazed at the happenings and was always immersed in bliss, but, very protective of her extra-ordinary Divine child. Subbamma was the Yashoda to Sai Krishna feeding Him and fostering Him from a very young age and later fed the hundreds of devotees that gathered around the little divine wonder. She was verily Annapurna. She was most fortunate to receive Thulasi Theetham from the Lord’s hand at her parting moments to merge in Him. The compassionate Mother never sought anything for herself. “Ambara, Sambara Nakothee”, The three boons she asked from Swami revealed that He is really Brahma, Vishnu and Maheswara. Brahma’s consort Saraswathi and hence schools, colleges and a university sprang up, Vishnu’s consort Lakshmi who is also called Batha Harini and hence hospitals, super speciality hospitals etc. and Shiva wears the Ganga on His head and thus water projects that quench the thirst of thousands and thousands of people. Her golden heart filled with compassion made her ask for these boons to bring succor to the entire community. 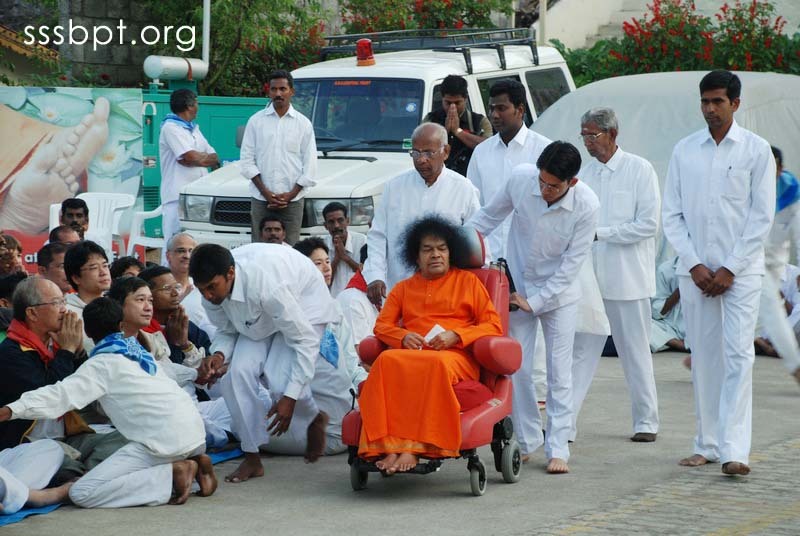 She was the one who spoke little, mild natured and ever caring for the welfare of the devotees. She would often say “Antha Swami Daya”. She shed tears of joy on seeing hundreds of poor being fed as Narayana Seva saying “Na Entha Bagyam” (How very fortunate she was!) Just as Kausalya parted with her son sent on exile for 14 years, Devaki had to part with Krishna and Devagiriamma her newborn Shirdi Sai, Easwaramma gave her son to the whole world! She was the Devudo Amma. She had told Petha Bottu Amma how she had seen her son as God incarnate. 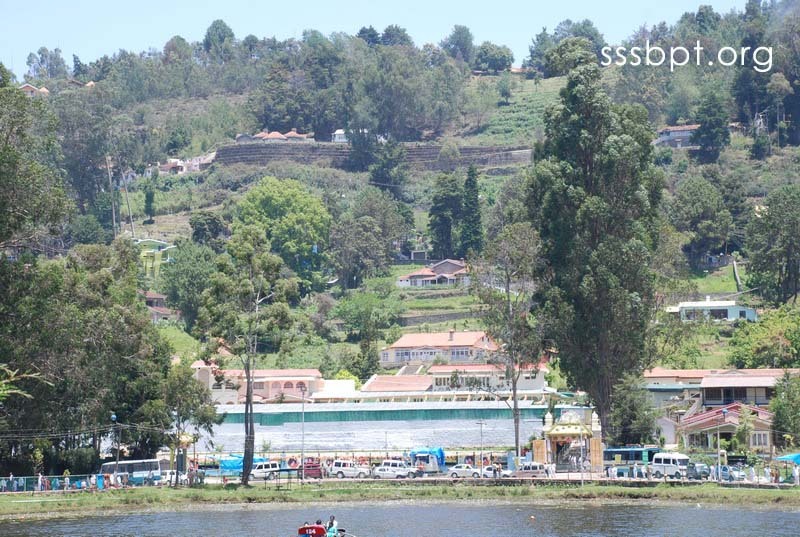 During a summer course in Brindavan, on the morning of 6th May she called out “Swami, Swami” and Swami responded that He was coming, and that was her parting moments. She was an ideal mother to all. The Burra Katha artists ended with a song requesting the mlother to come down once to see her son in Yajur Mandir. Prasanthi Nilayam is shining as Kasi, Rameswaram, Mathura, Ayodhya, Thirupathi, Shirdi, as all holy places rolled into one. 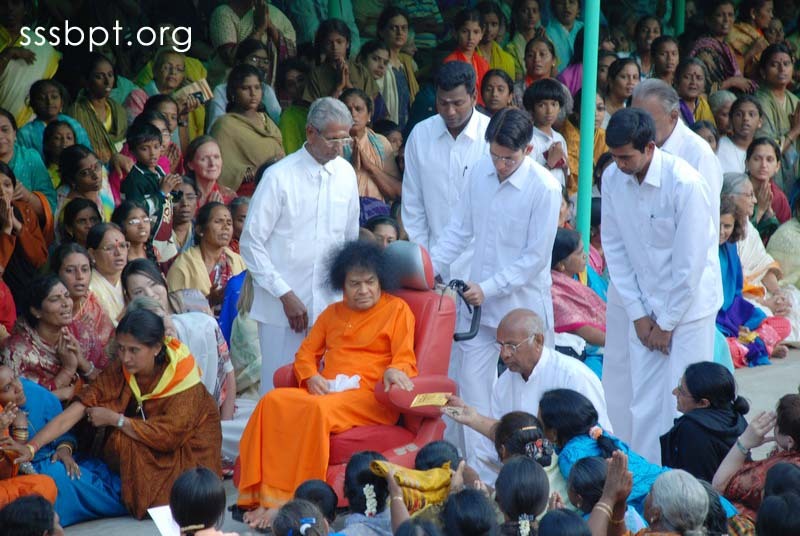 The artists were blessed by Bhagawan after they declared that they wanted nothing except the lord’s love and blessings. After a short bhajan session, Aarathi was offered at 7 p.m.. All devotees received Prasadam blessed by Bhagawan.